Pakistani Prime Minister Imran Khan hit out at religious hardliners and appealed for calm Wednesday after extremists called for the country's Supreme Court justices to be murdered for overturning the conviction of a Christian woman facing execution for blasphemy. Khan, who took to the nation's airwaves several hours after the court ordered the acquittal of Asia Bibi, delivered a forceful call for Pakistanis to respect the verdict which sparked protests across the country. "They are inciting you for their own political gain, you should not get trapped by them for the sake of the country, they are doing no service to Islam," Khan said in a televised broadcast. "We will protect people's properties and lives, we will not allow any sabotage, we will not allow any traffic to be stopped," he added. Blasphemy is an incendiary charge in deeply conservative Muslim Pakistan, where even unproven allegations of insulting Islam and its Prophet Mohammed can provoke death at the hands of vigilantes. 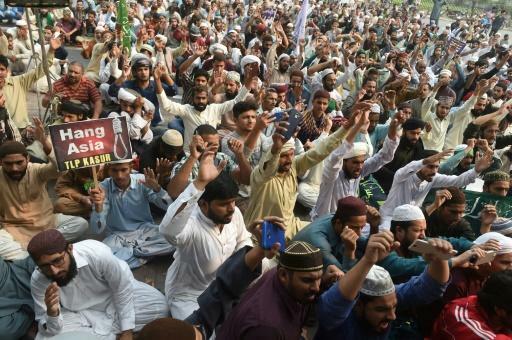 Demonstrations broke out in major cities across Pakistan in the ruling's wake, with club-wielding protesters blocking Islamabad's main highway and barricading roads in Karachi and Lahore. One of the most vocal groups -- the Tehreek-e-Labaik Pakistan (TLP) -- called for "mutiny" against the army's top brass and the assassination of the top court's justices. "The Muslim generals of the army, it is their responsibility that they should launch a rebellion against these generals," Afzal Qadri -- a TLP leader -- told supporters in Lahore. Khan, who has previously caused concern with his full-throated defence of blasphemy laws during his recent election campaign, vowed on Wednesday to hit back against hardliners inciting violence, saying the inflammatory rhetoric would only benefit "Pakistan's enemies". Bibi was set to be released immediately according to the court, although there was no word if any security arrangements were being made for her protection. Her legal team celebrated amid beefed-up security in Islamabad. "The verdict has shown that the poor, the minorities and the lowest segments of society can get justice in this country despite its shortcomings," Bibi's lawyer Saif-ul-Mulook told AFP. "This is the biggest and happiest day of my life." Bibi appeared to be in a state of disbelief after hearing that Pakistan's Chief Justice Saqib Nisar had quashed her conviction nearly eight years after she was first sentenced to death. "I can't believe what I am hearing, will I go out now? Will they let me out, really?" Bibi told AFP by phone from prison after the ruling. "I just don't know what to say, I am very happy, I can't believe it." Her case drew the attention of international rights groups and swiftly became the most high-profile in the country. The allegations against Bibi date back to 2009, when Muslim women she was labouring with in a field objected to sharing water with her because she was Christian. After an argument, the women went to a local cleric and accused Bibi of blasphemy against the Prophet Mohammed, a charge punishable by death under colonial-era legislation. 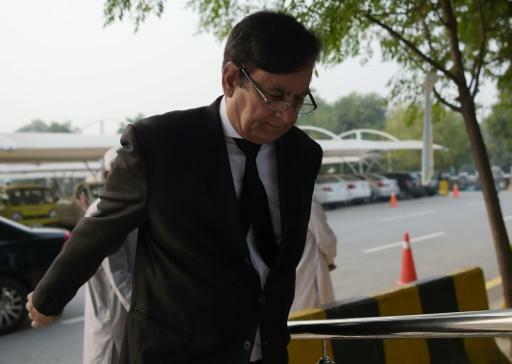 "I don't see any derogatory remarks vis-a-vis the holy Koran as per the FIR," added Chief Justice Nisar, referring to the initial complaint filed in the case. Rights groups have long criticised the legislation, saying it is routinely abused to justify censorship, persecution, and even the murder of minorities. In recent years, it has also been used to smear dissenters and politicians. Mere calls to reform the law have provoked violence, most notably the assassination of Salmaan Taseer, the governor of Pakistan's Punjab province, by his own bodyguard in broad daylight in Islamabad in 2011. His assassin, Mumtaz Qadri, was executed in 2016 and has been feted as a hero by hardliners, who built a shrine to him just outside the capital. 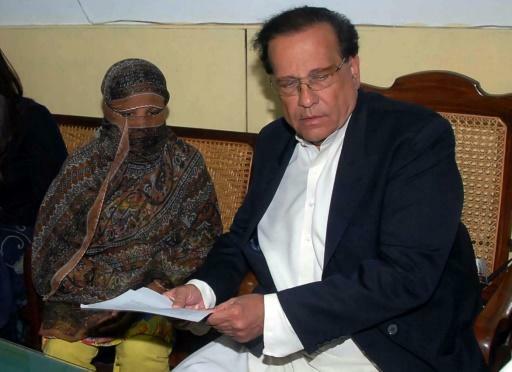 Taseer had also called for Bibi's release and his son Shahbaz tweeted "Pakistan Zindabad" ("Long live Pakistan") following the ruling.